8.1" x 7.1" stitched on 14 count. 6.3" x 5.5" stitched on 18 count. 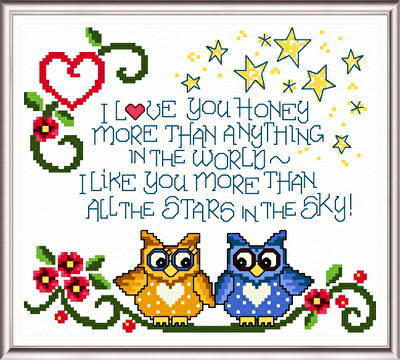 Owls in Love cross stitch pattern... Show your love with this loving couple of owls.